ARRL Headquarters Closing Early on Christmas Eve, Closed on Christmas Day, New Year's Day: ARRL Headquarters will close at 3 PM Eastern Time on Christmas Eve, Thursday, December 24, and it will remain closed until Monday, December 28, at 8 AM Eastern Time. In addition, ARRL Headquarters will be closed on New Year's Day, Friday, January 1, 2016. There will be no W1AW bulletins or code practice on December 24, 25, or January 1, and no ARRL Audio News on December 25. There will be no editions of The ARRL Letter or ARRL Audio News on December 31/January 1. Both will return on January 7, 2016. 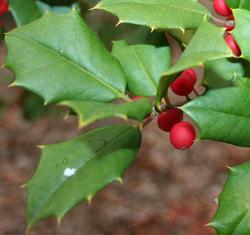 We wish everyone a safe and enjoyable holiday season and a happy new year! In an unexpected turn of events, Polish DXer Dom Grzyb, 3Z9DX, who visited North Korea -- officially the Democratic People's Republic of Korea (DPRK) -- this month in advance of a planned Amateur Radio operation early next year, showed up on the air from the most-wanted DXCC entity around 0000 on December 20. During a "demonstration" for North Korean officials, P5/3Z9DX made nearly 800 DXers -- most of them in Asia -- very happy over the couple of days he was on the air. Grzyb operated mostly on 15 meters with some excursions on 20 and 10 meters, SSB only. The P5/3Z9DX preview was the first from North Korea since the 2001-2002 operation by Ed Giorgadze, 4L4FN. 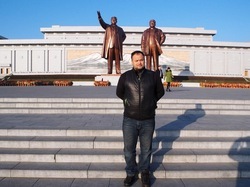 Dom Grzyb, 3Z9DX, in Pyongyang, North Korea. The surprise appearance of P5/3Z9DZ on the air coincided with some of the worst HF conditions in days, if not weeks, no thanks to a geomagnetic storm. Grzyb's visit to Pyongyang this month had been scheduled to iron out the details of his 2016 operation. The radio equipment he took to North Korea remained behind in government hands, as agreed beforehand. A P5/3Z9DX operation from North Korea now is poised to take place in February. The FCC Enforcement Bureau has proposed fining William F. Crowell, W6WBJ (ex-N6AYJ), of Diamond Springs, California, $25,000 for intentionally interfering with other Amateur Radio operators and transmitting prohibited communications, including music. FCC San Francisco District Director David K. Hartshorn released a Notice of Apparent Liability for Forfeiture (NALF) on December 18, detailing the allegations. "Deliberate interference undermines the utility of the Amateur Radio Service by preventing communications among licensed users that comply with the Commission's rules," the FCC said in its NALF. 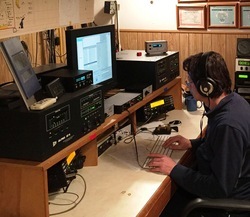 "Mr Crowell's deliberate interference to other users, using voice, noises, and music, directly contravenes the Amateur Radio service's fundamental purpose as a voluntary noncommercial communications service..."
An Advanced class licensee, Crowell is no stranger to the Enforcement Bureau, which warned him as far back as 2000 about intentional interference. In 2008 the FCC designated his current license renewal application for hearing, alleging that he had caused intentional interference, interrupted others' communications, transmitted music, and made one-way transmissions, including some containing "indecent language," the FCC said. His license, which expired in 2007, has not been renewed, but Crowell may continue to operate while his application is pending. Prompting the December 18 NALF were complaints earlier this year by members of the Western Amateur Radio Friendship Association (WARFA), which conducts nets three times a week on 75 meters. The Enforcement Bureau recounted that its agents and the High Frequency Direction Finding (HFDF) Center monitored Crowell's transmissions during the WARFA Net on 3908 kHz on August 25 and August 27. As the agents and the HFDF Center listened, Crowell "repeatedly interrupted other amateurs using noises, recordings, and music, in addition to talking over amateurs affiliated with the WARFA Net, so as no not allow them to transmit on the frequency," the FCC said in its NALF. "His transmissions and recordings included racial, ethnic, and sexual slurs and epithets." According to the NALF, the interference continued until the net shut down. Read more. The Philippine Amateur Radio Association (PARA) activated its Ham Emergency Radio Operations (HERO) on December 12 as Typhoon Melor -- locally called Typhoon Nona -- threatened the Philippine archipelago. The storm boasted winds up to and slightly in excess of 100 MPH. National Traffic System Chairman Jojo Vicencio, DU1VHY, announced the activation during the early-morning DU NET. HERO used 7.095 MHz for emergency traffic, and other hams in the region cooperated in keeping the frequency clear. Stations from the Eastern Visayas area hit by Super Typhoon Haiyan in 2013 as well as various emergency communication groups and clubs checked into the net. Melor made its first landfall between Catarman, Northern Samar, and Sorsogon, Southern Luzon. Stations in Eastern Samar and Tacloban City were on alert. Some hams embedded with local disaster risk reduction and management councils/offices. The eye of Typhoon Melor made a second landfall over Bulusan, Sorsogon. The province of Albay declared a state of imminent emergency. Workers and students were sent home, and stores and shops closed. Pre-emptive evacuations were undertaken in coastal towns in danger of dangerous storm surges, as reported by HERO stations. As the storm progressed through the Bicol region, PARA members continued to give reports on 7.095 using emergency power. The CQ World Wide Contest Committee has posted the preliminary results of its September survey of CQ WW participants. The committee received 5117 responses from contesters around the world, the greatest number -- nearly 2600 -- from Europe. An analysis of the results showed that most survey participants were in the older age brackets and that there were not many youth participants. "This is especially true when we look at the age distribution in North America," said the analysis, prepared by Doug Zwiebel, KR2Q. "There is very little survey participation in North America from those under 40 years of age." More than 900 of the nearly 1500 respondents from North America were at least 60 years old, according to the survey. CQ said the situation in Europe was "a little more optimistic," where the age curve trended about 10 years younger overall. "While the missing young people could be a symptom of the survey methodology, any look around a ham radio club meeting [or] convention reveals similar findings," the survey commentary said. "Should we be concerned about the future of radiosport (and Amateur Radio)? What can we do to encourage more young people to participate?" it went on to ask. The CQ WW Contest Committee analysis concluded that older-skewing operators may lead to lower operating times, increased multioperator entries, or eventual less overall activity. Contesting at K3CR in 2014. CW was far and away the most popular operating mode, at least among participants age 40 or older. Nearly 62 percent of those participating in the CQ WW survey indicated they were either serious contesters or part-timers trying for the best score. Europe is the leader for contest activity. There is a wide range of interest levels. CW is the favorite operating mode. The CQ WW Contest Committee said that a future blog post would discuss the results of questions related to possible rule changes. Amateur Radio on the International Space Station (ARISS) has announced that the proposals of 17 schools and organizations submitted during the recent application window will move forward into the next stage of planning to host Amateur Radio contacts with ISS crew members. Once scheduled, the contacts will take place between July and December 2016. "This is a significant step in ARISS' continuing effort to engage young people in Science, Technology, Engineering, and Math (STEM) activities and raise their awareness of space exploration, space communications, and related areas of study and career possibilities," the ARISS announcement said. The 17 schools/organizations now must complete acceptable equipment plans that demonstrate the ability to execute a contact. Once the ARISS technical team approves equipment plans, the final selected schools/organizations will be matched up with contact opportunities offered by NASA. The schools and organizations are Boca Raton Christian School, Boca Raton, Florida; The Children's Museum of Indianapolis, Indiana; Frontiers of Flight Museum's "Moon Day 2016," Dallas, Texas; Howell L. Watkins Middle School, Palm Beach Gardens, Florida; iSPACE, Cincinnati, Ohio; John Glenn Middle School, Maplewood, Minnesota, and Kopernik Observatory & Science Center, Vestal, New York. Also, Lawrence Public Library, Lawrence, Kansas; Museum of Innovation and Science, Schenectady, New York; Northland Preparatory Academy, Flagstaff, Arizona; Peoria Riverfront Museum, Peoria, Illinois; University of Nebraska's Peter Kiewit Institute, Omaha, Nebraska; South Street School, Danbury, Connecticut; Space Jam 10, Rantoul, Illinois; United Space School, Seabrook, Texas; US Space & Rocket Center, Huntsville, Alabama, and World Genesis Foundation, Goodyear, Arizona. ARISS is a cooperative venture of AMSAT, ARRL, and NASA in the US, and other international space agencies and Amateur Radio organizations around the world. Its primary purpose is to organize Amateur Radio contacts between ISS crew members and classrooms or informal education venues. 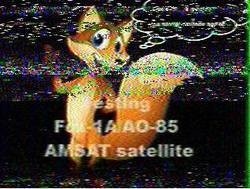 A Slow Scan TV (SSTV) image that a Brazilian radio amateur reported receiving on December 13 from Fox-1A (AO-85) was most likely a prank, not any sort of official test of the satellite's SSTV capabilities. AMSAT Vice President for Engineering Jerry Buxton, N0JY, said the Robot 36 image, which depicted a cartoon fox and the legend "Testing Fox-1A/AO-85 AMSAT satellite," was of terrestrial origin and transmitted via the AO-85 satellite's transponder. The SSTV image transmitted via AO-85 and received by a Brazilian radio amateur. "I can tell you that in South America, they are having some fun, and that our analog-to-digital to analog IHU processing of the audio seems to work very well at SSTV frequencies!" Buxton told ARRL. "I don't know who uplinked the signal, but it was a ground-satellite-ground contact, nothing that originated on AO-85." Buxton called the prank "just a very good demonstration of the capability of the FM repeater on the Fox-1 series satellites." The FM satellite uplink is at 435.170 MHz (67 Hz CTCSS tone required). The downlink is at 145.978 MHz. Both frequencies are subject to Doppler shift. Every day is a good day to operate on CW, but set some time aside on New Year's Eve and Day to enjoy Straight Key Night (SKN). The annual event gets under way a 000 UTC on January 1 (New Year's Eve in US time zones). The 24-hour event is not a contest but a day dedicated to celebrating our CW heritage. 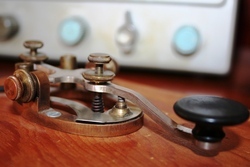 Participants are encouraged to get on the air and simply make enjoyable, conversational CW contacts, preferably using a straight (hand) key or a semi-automatic key (bug). Activity traditionally centers on CW segments in the HF bands. There are no points or obligatory exchange. The only requirement is just to have fun! Send your SKN list of stations work and your votes for "Best Fist" and "Most Interesting QSO" by January 31. Concurrent with the ARRL Straight Key Night, AMSAT will hold its own SKN on OSCAR 2015, this year dedicated to the memory of Ben Stevenson, W2BXA, who died in 2011. No log is necessary, but AMSAT also asks for "Best Fist" nominees via e-mail to Ray Soifer, W2RS. Stevenson, who was licensed in 1929, was one of the world's top DXers on HF and satellites and held Satellite DXCC No 1. He was the founding president of the North Jersey DX Association. The ARRL RTTY Roundup over the January 2-3 weekend is a veritable digital festival, so dust off those keyboards! In addition to conventional Baudot, RTTY Roundup ops may use ASCII, AMTOR, PSK31, and Packet (attended). It's very easy to get on RTTY and other digital modes, and some late-model transceivers even have RTTY and other digital capabilities built right into the radio. Participation in this annual operating event has grown along with the enthusiasm for digital modes, and newcomers are always welcome to join the fray. The 2015 ARRL RTTY Roundup runs from 1800 UTC Saturday, January 2 through 2359 UTC Sunday, January 3, with operation on 80, 40, 20, 15, and 10 meters. Participants may operate 24 of the 30 available hours. US and Canadian stations send a signal report and state/province, while DX stations send a signal report and consecutive serial number, starting with 001. Submit Cabrillo logs via e-mail or by using the web applet. Send paper logs to ARRL RTTY Roundup, 225 Main St, Newington, CT 06111. All logs must be postmarked no later than 2359 UTC Tuesday, February 2, 2015. The next Kids Day will be Sunday, January 3, 2016, from 1800 to 2400 UTC. 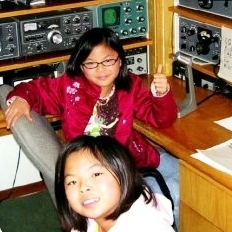 The twice-yearly event, sponsored by the ARRL and The Boring (Oregon) Amateur Radio Club, is an excellent opportunity to showcase Amateur Radio and Amateur Radio satellites to youngsters and even to hand over the keys so they can get some hands-on experience. Share the excitement with your own children or grandkids or youngsters in the neighborhood! For youngsters, their positive ham radio experience may foster an interest that leads them to get licensed one day. For veteran radio amateurs, it's a chance to share their stations and affection for Amateur Radio with the next generation. To solicit contacts call "CQ Kids Day." The suggested exchange is name, age, location, and favorite color. There is no limit on operating time, and stations may work each other more than once if the operator has changed. Repeater contacts (with permission of the repeater's sponsor) are okay too, and satellite contacts may provide a real thrill. Observe third-party traffic restrictions when making DX contacts. All participants are encouraged to post stories and photos to the Kids Day Soapbox page and are eligible to receive a colorful certificate. You can download the free certificate, customized with the youngsters' names, after filling out the Kids Day Survey found on the same page as the certificate generator. Alternatively, you can send a 9 × 12 SASE to Kids Day Certificate Request, ARRL, 225 Main St, Newington, CT 06111. The International DX Association (INDEXA) has announced the formation of a fund -- "Hams with Hearts" -- to support humanitarian projects carried out by DXpedition teams. Thanks to an initial contribution by Zorro Miyazawa, JH1AJT, INDEXA will be able to begin humanitarian support grants beginning in mid-January 2016, the announcement said. "To qualify for humanitarian grants, DXpeditions must present a clear plan for a humanitarian project to coincide with their DXpedition," the announcement said. "The project must provide direct, physical benefit to the local population and go beyond leaving behind ham equipment, making a video, or giving a class in Amateur Radio." INDEXA said acceptable projects might include such things as providing school supplies, clothing, medical supplies, first aid equipment, or water purification supplies. The INDEXA board will review the plans and decide whether or not to fund the project. "In the early years of this fund, it is likely that grants will be modest," INDEXA allowed. "We therefore will be seeking low-cost but high-impact projects. As this fund grows it may be possible to encourage DXpeditions to conduct humanitarian projects by supporting both the DXpedition itself and the humanitarian project it carries out. We are grateful to Zorro for his generosity and acknowledge the many humanitarian projects he has carried out on a personal level. With this new fund we hope to benefit humanity and enhance the image of Amateur Radio around the world." George Marti, W5GLJ, who pioneered and manufactured remote pick-up (RPU) technology to allow radio stations to originate broadcasts away from the studio wirelessly -- and lobbied the FCC to authorize its use -- died on December 13 at age 95. 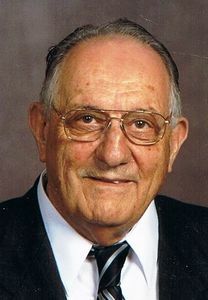 Marti lived in Cleburne, Texas, where he had served as mayor for 12 years. A radio station owner himself, he developed his first RPU unit to broadcast local high school football games back to the studio, bypassing the use of expensive and sometimes unreliable telephone lines. His company, Marti Electronics, also developed and sold studio-transmitter link (STL) equipment. An early Marti RPU is on display at the Smithsonian's National Museum of American History. A radio amateur since his teens and a US Marines veteran, Marti also was a cattle fancier, banker, and philanthropist. He sold Marti Electronics in 1994 to Broadcast Electronics. In 1991, the National Association of Broadcasters honored Marti with its Radio Engineering Achievement Award. In 2010, the Texas Association of Broadcasters awarded Marti its Lifetime Achievement Award; he also was inducted in 2002 into the Texas Broadcasters Hall of Fame. ARISS Postpones Anniversary SSTV Event: The Amateur Radio on the International Space Station (ARISS) Slow-Scan TV event set for December 26-27 has been postponed due to "complications in planning," ARISS has announced. ARISS now is targeting mid-January as the next possible opportunity. 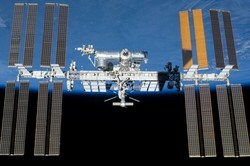 This year marks the 15th anniversary of continuous Amateur Radio operations on the International Space Station. The first ISS crew conducted its inaugural ham radio contact from NA1SS in November 2000. 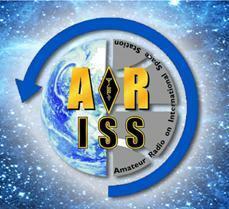 The first Amateur Radio on the International Space Station (ARISS) school contact took place the following month. ARISS will post more information as it becomes available. Digital Communications Conference Presentations Available Online Some of the presentations from the 2015 ARRL/TAPR Digital Communications Conference now are available on YouTube, courtesy of Gary Pearce, KN4AQ, of "HamRadioNow." He also has produced audio podcasts. To subscribe to the "HamRadioNow" podcast, enter this URL manually into a podcast app: http://HamRadioNow.tv/hrn/hrnrss.xml. Boston Marathon Seeks Amateur Radio Volunteers with Technical Skills: Preparations are under way for the 120th running of the Boston Athletic Association's Boston Marathon, which takes place on Patriots' Day, April 18, 2016. Nearly 300 trained Amateur Radio volunteers staff the event each spring, providing vital communication services over the entire 26-mile course. Volunteers are recruited, selected, and managed by the BAA's Communications Committee, now in its second year. 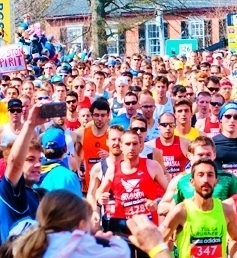 "A major initiative of the Committee this year is to bolster the technology we use on Marathon Monday," said Communications Committee member Matthew Forman, K6MCF. "To do so, we're forming a Technical Infrastructure Subcommittee (TIS) and seeking amateurs who can offer current skills in analog and/or digital modes (UHF/VHF), repeaters, and infrastructure. We'd like to have the TIS consist of one technically seasoned member from Amateur Radio clubs in Massachusetts, Southern New Hampshire, and the northern parts of Connecticut and Rhode Island." Committee member Mark Richards, K1MGY, will assist in representing the TIS to clubs and other interests. Contact Richards for more information.